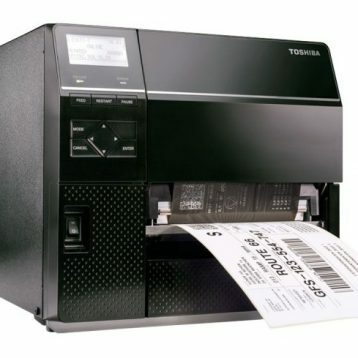 The Toshiba B-SX8T printer with ultimate in networking tools. 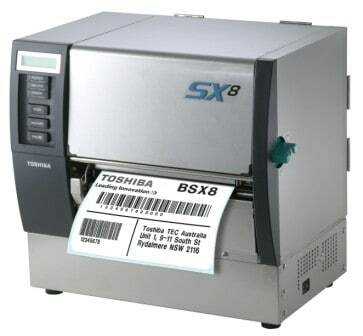 The B-SX8T wide web printers from Toshiba with powerful networking deliver outstanding performance for a wide variety of envrionments and applications. These innovative industrial printers offer advanced features including extremely fast processing, large internal memory, web printer controls, outstanding SNMP networking tools. Utilising ground breaking CPU technology from Toshiba the B-SX8T model offers high-speed printing and enhanced processing via an extensive choice of interfaces – including USB and internal LAN. The options of serial and wireless LAN interfaces provide additional flexibility and choice, making these printers adaptable to the widest variety of environments and applications. 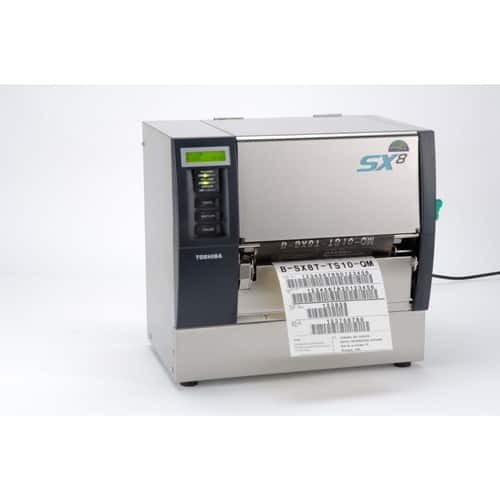 The B-SX8T 305dpi, 213.3mm wide print heads facilitate speedy printing of large format compliance labels. A floating print head mechanism guarantees superb print quality with reduced friction and a flat paper path. The ribbon save function conserves the ribbon when it is not required, reducing costs, the amount of down-time required for ribbon changing(availablie as standard on the B-SX8T). 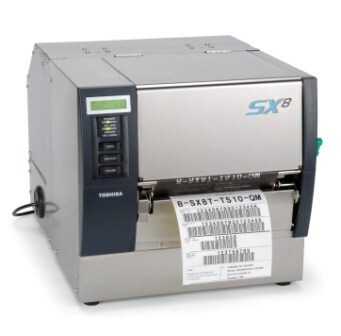 For future proofing, the B-SX8T printer is compatible with legacy systems, Toshiba or non-Toshiba. With the powerful Basic Command Interpreter(BCI) program, incoming data can be manipulated to generate the correct label formats. The BCI can also commuinicate with external devices allowing the easy integration of other technology systems. Manage all the Toshiba printers attached to the network through their IP address. Exhibit system information and firmware versions, allowing firmware to be updated across the network simultaneously. 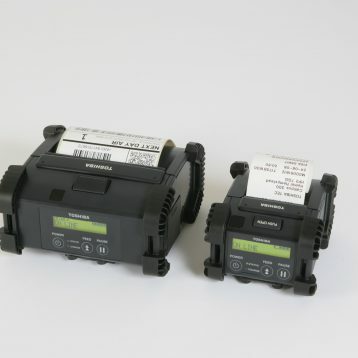 View the status of each individual printer connected to the network in real-time with real-time alerts (including viewing web pages). View a graphical display of the alerted error with instructions on the actions necessary to resolve it. It can even give the number of the service call centre when needed.